There are varying degrees of obsession with Formula 1. There are those who can watch just the Grand Prix itself and be satisfied, there are those who can't miss qualifying, and some even watch practice sessions like their lives depend on it. Some—and we're not naming names—even have a framed photo of Kimi Räikkönen atop a shrine encircled by candles and tulip petals, by which incense is burned every Sunday. We acknowledge that not everyone is as invested in F1 as we are, but we know that some casual fans still want to know who is on their screen without having to learn every driver's blood type. This is for them. 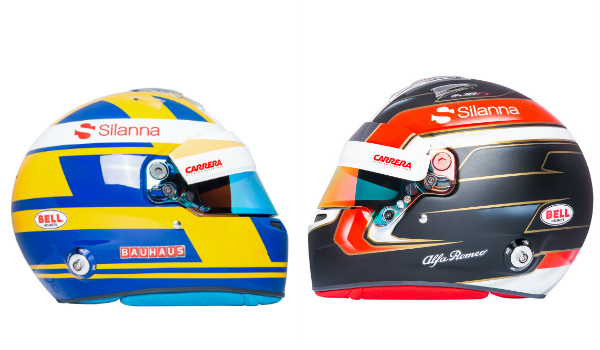 Below is every one of the ten cars, twenty drivers, and their respective helmets, for ease of recognition. Force India has long been a fan favorite underdog. Its roots can be traced to Jordan, a team which first entered F1 in 1991, and competed under the name through 2006. In the following three years, the team changed hands (and names) thrice, eventually settling on Force India under ownership of a fella named Vijay Mallya. With one of the smallest budgets in the sport, the team could be forgiven for settling for mediocre finishes in the lower field, but instead, it regularly scores points, and has occasionally stolen podiums from under the noses of richer factory teams. 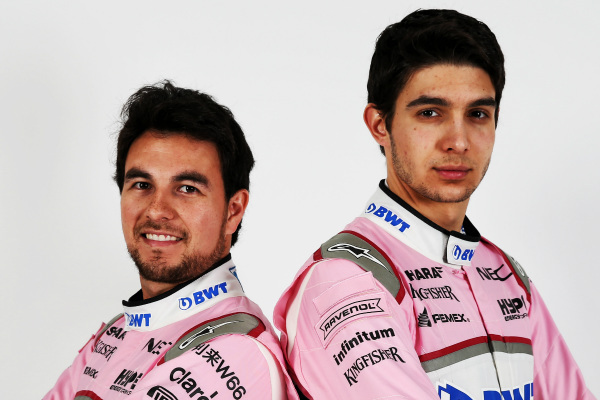 The team's 2018 car, the VJM11, is to be wrangled by Mexico's Sergio "Checo" Perez, and France's Esteban Ocon, numbered 11 and 31 respectively. 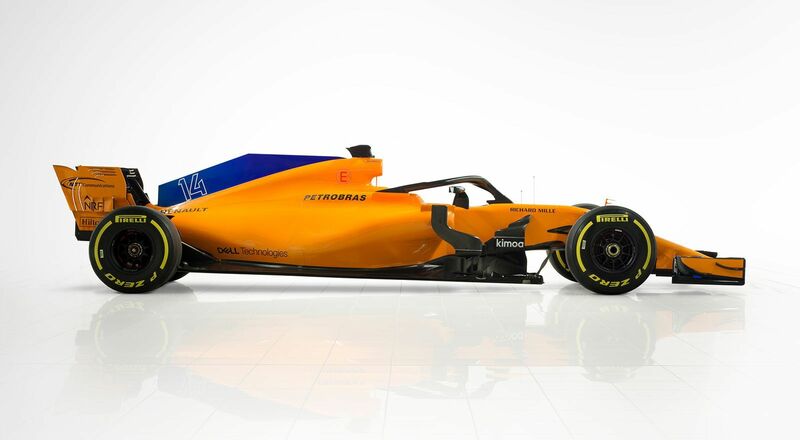 Both will be challenged by a resurgence of teams like McLaren, Williams, and Sauber, each of which have experts behind their cars and hotshots in them. 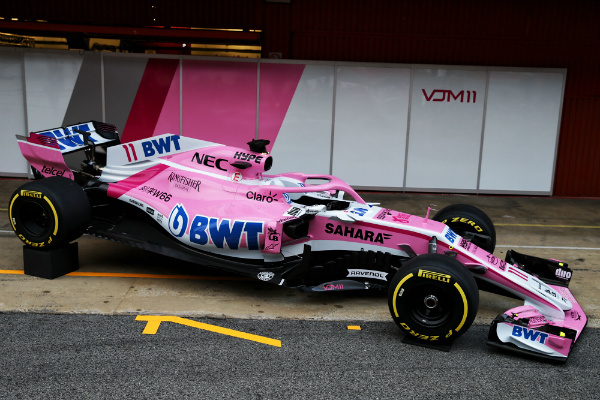 Force India has always known how to pick drivers, though, which could make the difference between another fourth and a slip in the standings. 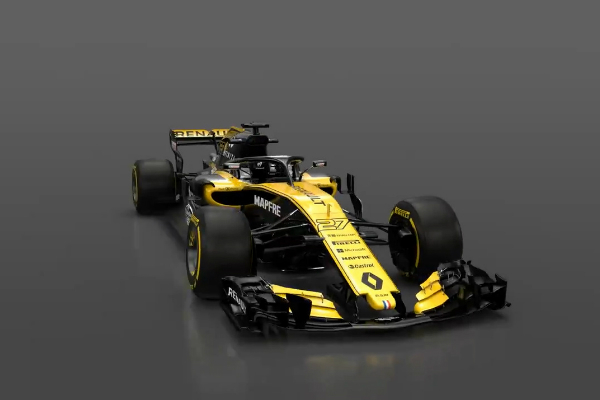 The newly-formed partnership of McLaren and Renault is one that will remain in the spotlight throughout the 2018 campaign. 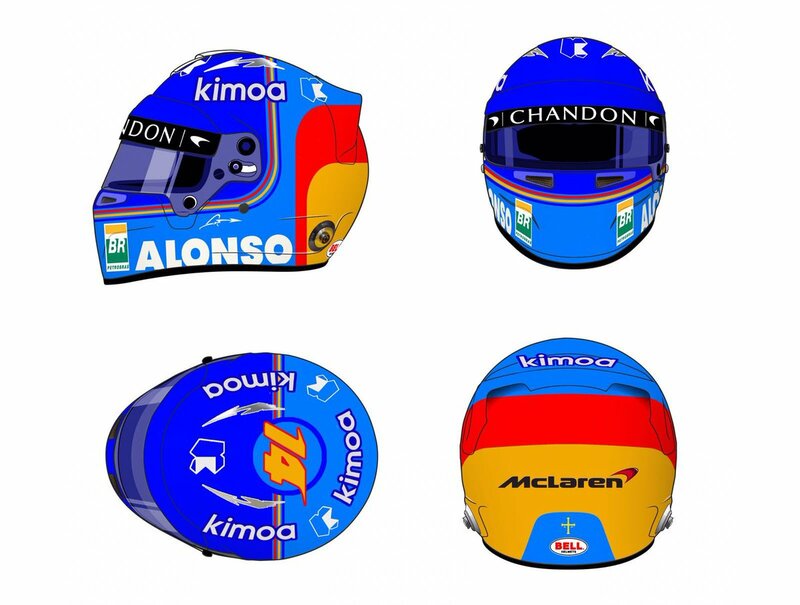 For many, it represents one of Fernando Alonso's final chances for F1 glory as the 36-year-old nears the tail end of his already well-decorated career. Regardless of the specifics, the Spaniard will certainly be looking for redemption after several troubled seasons with the team's former engine partner, Honda. 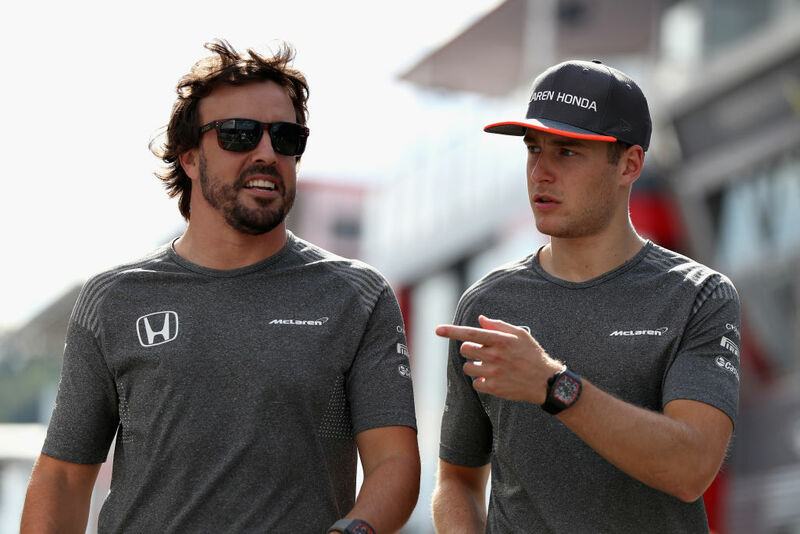 McLaren's car for 2018, the MCL33, will be 'Nando's and his teammate Stoffel Vandoorne's chariot to compete with the top dogs at Ferrari, Mercedes, and Red Bull. With everyone expected to have upped their game for the looming 21-race calendar, the Holy Trinity of Formula 1 will be harder to beat than in years prior—but if anyone can do it, it might just be McLaren. Despite having its best campaign in years, Ferrari finished 2017 in downtrodden spirits. Early success brought on several race wins and a championship lead for ace driver Sebastian Vettel, but in the season's second half, problems started to show through for the Maranello-based manufacturer. 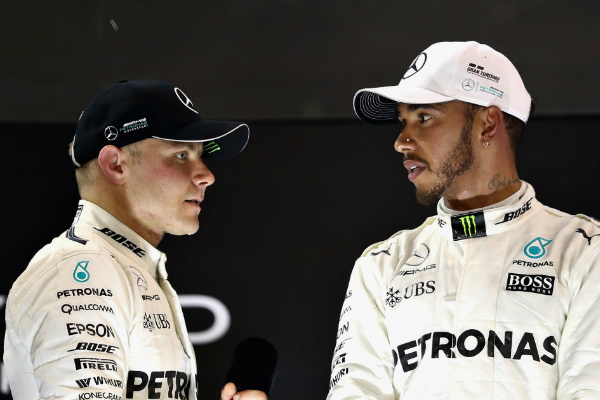 Having conclusively lost the Constructors' and Drivers' Titles to Mercedes and Lewis Hamilton, the team knew that there was still something missing to compete for the sport's top spot. This is an issue that Ferrari hopes to resolve with its new SF71H race car. 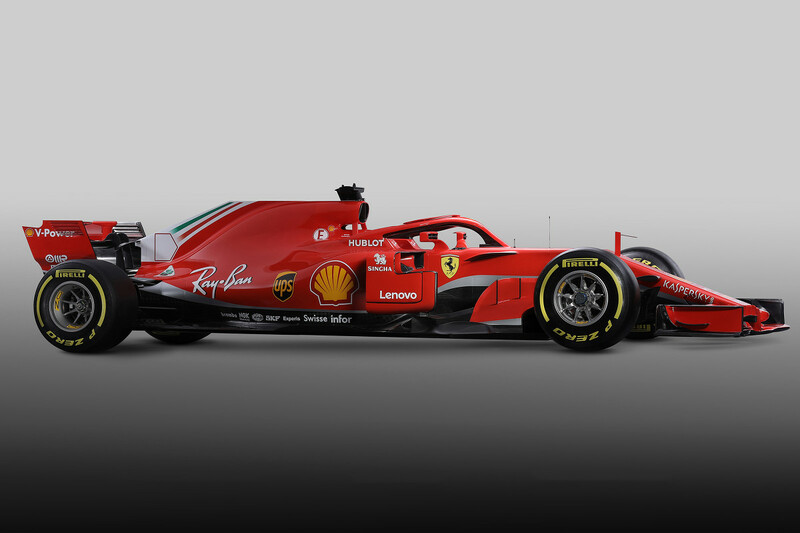 Now with a longer wheelbase and supposedly-improved powerplant, the team in red has lifted expectations for the coming Formula 1 season. Vettel and his teammate Kimi Raikkonen will be looking to defeat the dynamic duos of Mercedes' Hamilton and Bottas as well as Red Bull's Ricciardo and Verstappen. 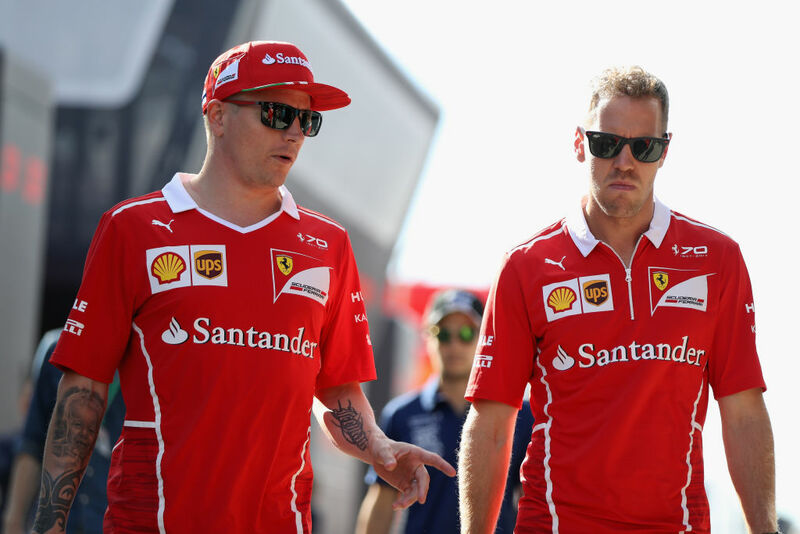 With an extended season calendar in play, look for Ferrari to attempt a harmonious balance of pace and speed against the other two members of F1's so-called "Holy Trinity." Vettel will once again be driving the No. 5 Ferrari while Raikkonen pilots the No. 7 car. Mercedes' involvement in the horrific Le Mans disaster in 1955 caused its total withdrawal from motorsport, then-infant Formula 1 included, for decades. The company rejoined as an engine supplier in 1994 and snapped up 2009's winning Brawn team for its own prior to the 2010 season. It put all its eggs into the basket that was the new set of regulations introduced in 2014, and the return on its investment was four consecutive constructors' and drivers' championship wins since the introduction of the turbocharged V-6 engines. None have any reason to doubt Mercedes will be any less competitive this season, though its rivals are closing in, threatening the Silver Arrows' dominance. Ferrari, Red Bull, and even McLaren will try to seize the crown from Mercedes' head this season. 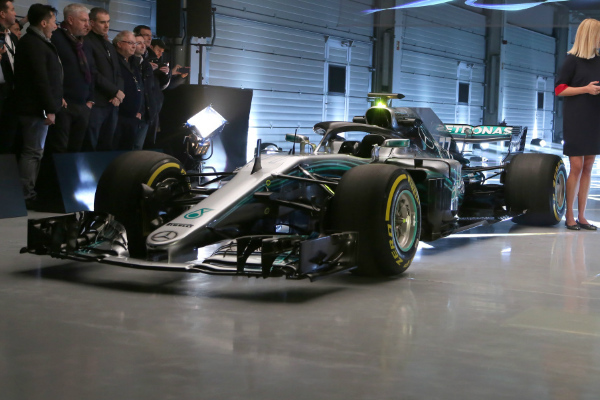 Defending the crown are Britain's four-time champion Lewis Hamilton, and three-time Grand Prix winner Valtteri Bottas of Finland, both armed with the team's 2018 car, the W09, which will be emblazoned with their respective driver numbers: 44 and 77. Renault formally departed F1 after 2010, relinquishing control of the Enstone-based team which operated for the next five seasons under the Lotus name. After the 2015 season, it retook the reigns, assembling technical expertise and quality drivers to mount an offensive against the lords of the sport: Mercedes, Ferrari, and Red Bull. The team has endured two seasons of what one could call rebuilding years, putting up a ninth-place finish in 2016 and sixth in 2017. Considerable engine upgrades and an overhauled chassis design could put the team on track to continue its upward trend, toward the winning status the team has not enjoyed since its last championship in 2006. 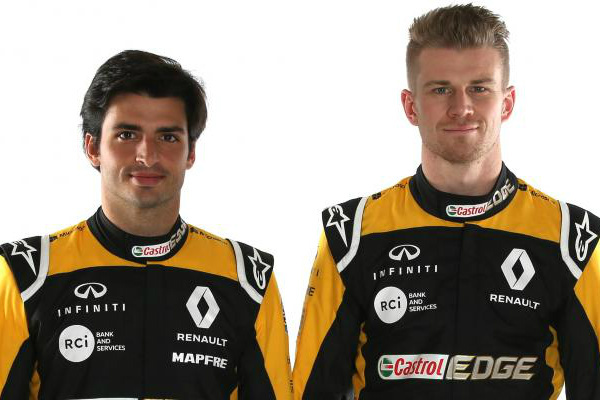 Spaniard Carlos Sainz Jr., son of double World Rally Champion Carlos Sainz, and German Nico Hulkenberg will drive the team's R.S.18 this season, wearing the numbers 55 and 27 respectively. Could it be the year that Hulkenberg finally busts his streak of most Grands Prix entered without a podium finish? That's up to Renault now. Alfa Romeo has been absent from Formula 1 since 1988. Sergio Marchionne—who is CEO of both Ferrari and Alfa's parent company Fiat Chrysler Automobiles—wants to reestablish Alfa's market presence by bringing the neglected Italian marque back to motorsport. 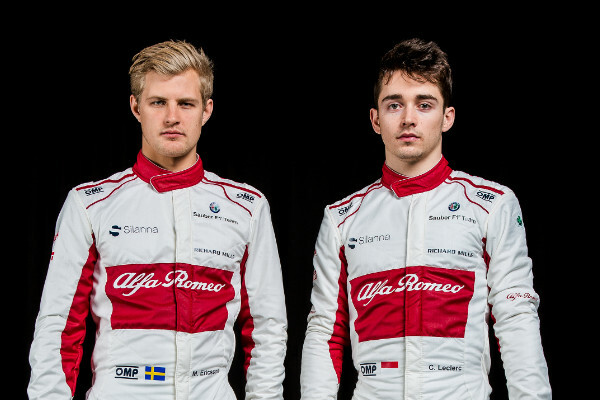 Step one: Return to F1 with the Alfa name on prominent display on the Sauber C37's engine cover. In addition to the influx of cash brought by the Alfa-branded title sponsorship and Ferrari engine, the team is seeing a return of Jorg Zander who helped develop the Brawn BGP 001, the car that carried Jenson Button to his world championship win. Sauber got its start in prototype racing in the early 1980s, and a partnership with Mercedes-Benz pushed the team into F1 with the C12 in 1993. 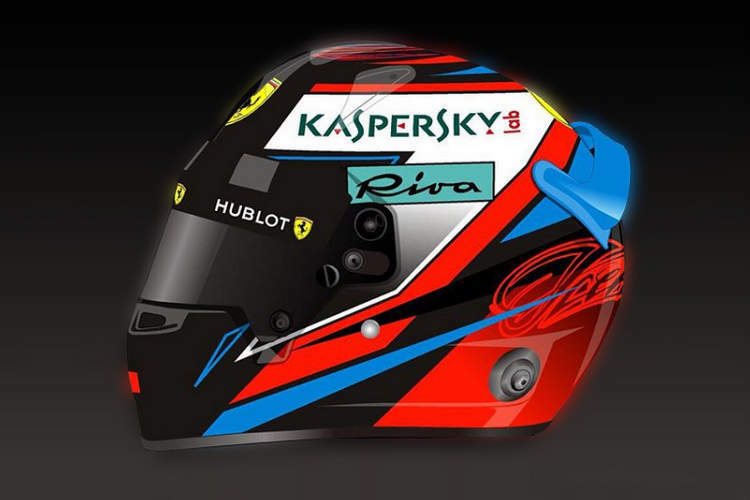 It has but one race win to its name, with Robert Kubica winning the 2008 Canadian Grand Prix for the team, but the combination of old expertise, a bigger budget, competitive engines, and a hotshot rookie Charles Leclerc could put the team closer to the front again. Williams partnered with vermouth giant Martini in 2014, giving the team's cars the striped legacy livery seen as far back as 1968. The team's 2018 car, designated the FW41, wears the same battle dress as its FW40 predecessor, but the technical wizard behind Mercedes' tremendous success since 2014—Paddy Lowe—has returned to Williams, so little DNA of the FW40 will be propagated. 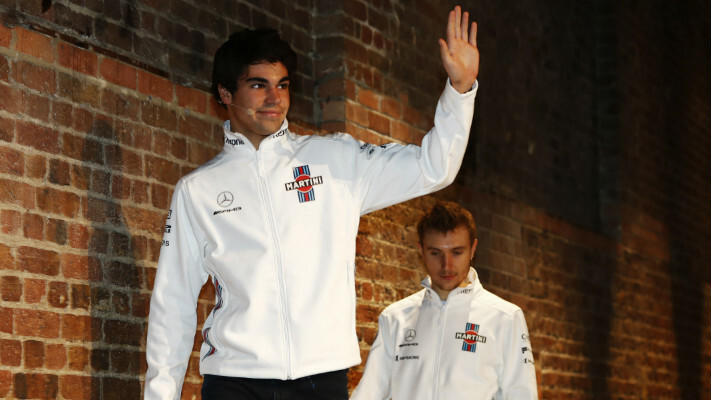 It will be driven by rookie Sergey Sirotkin and sophomore Lance Stroll, who sport car numbers 35 and 18 respectively. 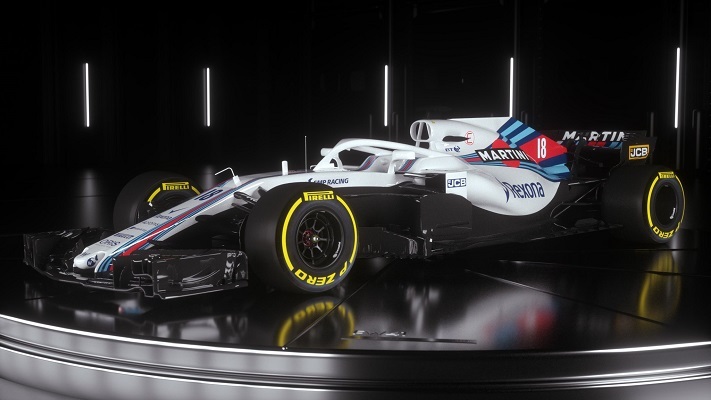 The Williams lineage goes as far back as 1969, when the team's founder, Sir Frank Williams, founded a team under his name that would eventually be bought out (and run into the ground) by oil magnate Walter Wolf. The team has struggled over the last two decades, its last championship win arriving in 1997, though it has seen sporadic success over the ensuing years. Lowe's long history of competitive car design, however, suggests the light at the end of the tunnel may be in sight for Williams. Haas will enter the coming Formula 1 campaign with the VF-18 racer, an evolution of its Ferrari-powered machine from last year. 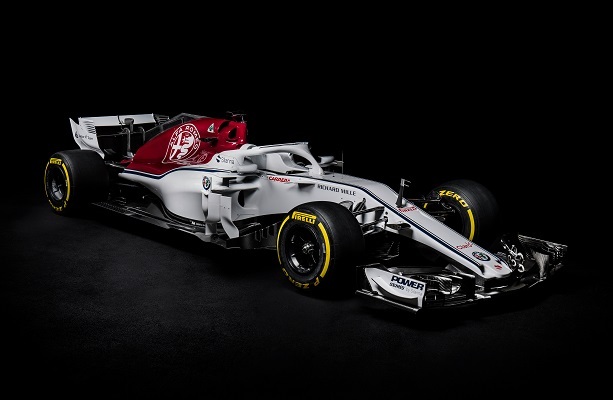 The car is easily recognized by its frost-grey and red livery that's also adorned with the team's name and logo down the side. 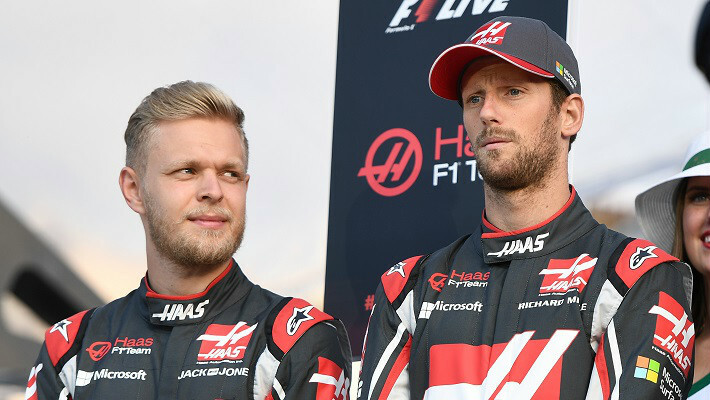 Team drivers Romain Grosjean and Kevin Magnussen wear numbers 8 and 20 respectively. 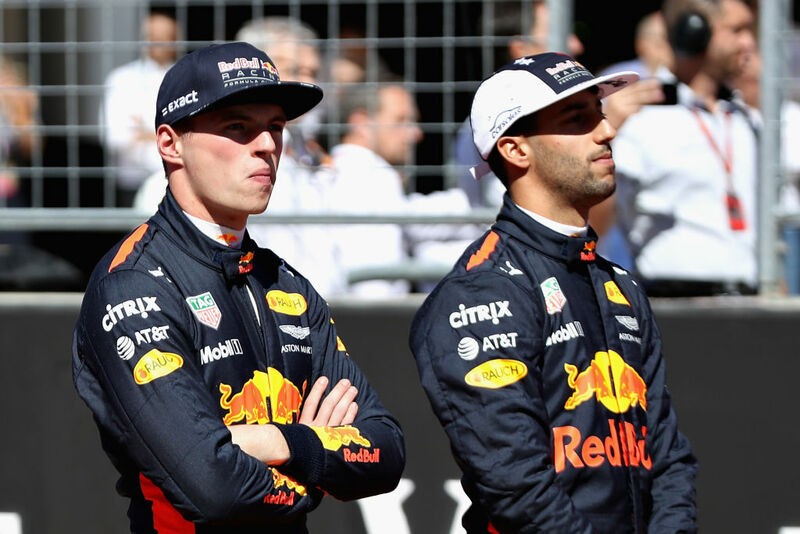 This will be the team's third season at the top level of motorsport as it wishes to improve on its eighth-place finish in the Constructors' Standings last year. After 20 races in 2017, Haas was able to nudge ahead of McLaren by 17 points but subsequently fell to Toro Rosso and Renault in the midfield battle. Red Bull F1 will take on 2018 with a new look and a new name. Officially partnering with Aston Martin as its new title sponsor, the Milton-Keynes based outfit will return to the championship hunt in hopes of defeating its everlasting rivals at Ferrari and Mercedes-AMG. With two increasingly seasoned drivers, Daniel Ricciardo (No 3.) and Max Verstappen (No. 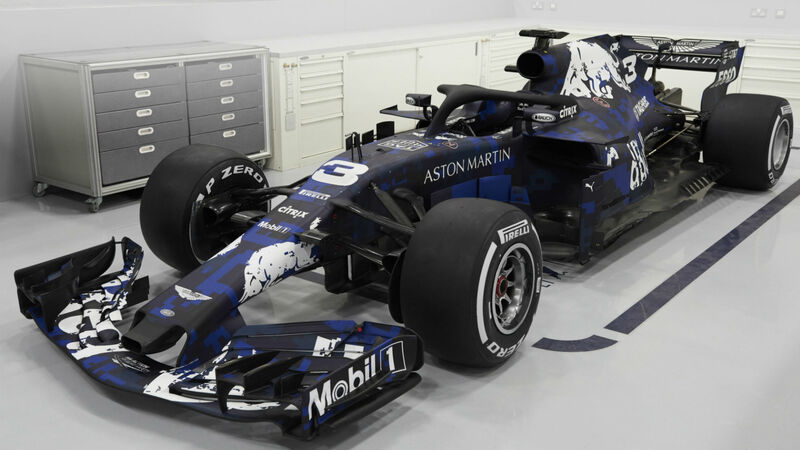 33), piloting the all-new RB14, expect to see a heated contest up top as Red Bull fights to best its third-place finish from last year. After struggling with reliability issues in 2017, Red Bull is seeking a better relationship with its engine supplier, Renault. The French-based power unit manufacturer has since expanded its customer program to include McLaren this season, a tandem which Red Bull hopes to benefit from as well in terms of support and development. If this task can be achieved, plan on seeing a highly competitive effort from Max and Daniel starting this March. Red Bull's junior team has always existed as a way to train and prepare drivers for the main team. 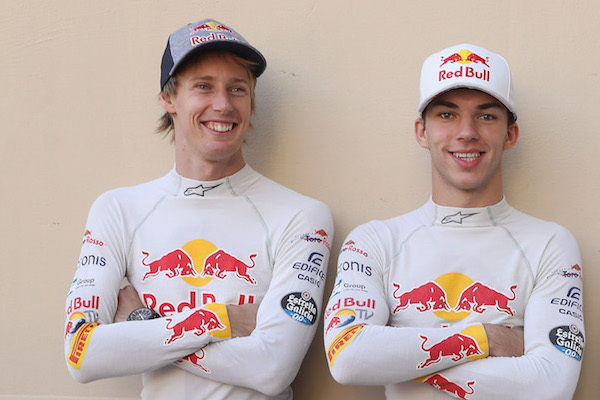 Brendon Hartley (28) and Pierre Gasly (15) are Red Bull's contingency plans, should either of its stars take leave of the varsity team, and will drive the Toro Rosso STR13 this season. Also in training during the 2018 season is its new engine partner, Honda, which McLaren sent packing after a disastrous three years. Without the pressure of results looming over Honda, the manufacturer can develop its engine in a low-pressure environment with Toro Rosso. Big brother Red Bull, under the same ownership as STR, is using this season to analyze the feasibility of a switch to Honda engines in the future and will make its decision regarding potential Honda power by mid-May. 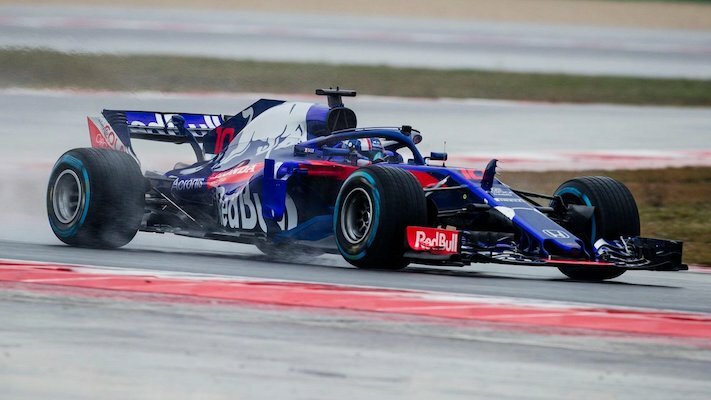 Between its inexperienced drivers and an engine supplier with a stained reputation in F1, little is expected of Scuderia Toro Rosso-Honda this season. It's the perfect opportunity to surprise the competition, is it not? Grid Kids will be junior racers given 'the opportunity to stand alongside their heroes on the grid'—just as we suggested. Third time's the charm, as they say. 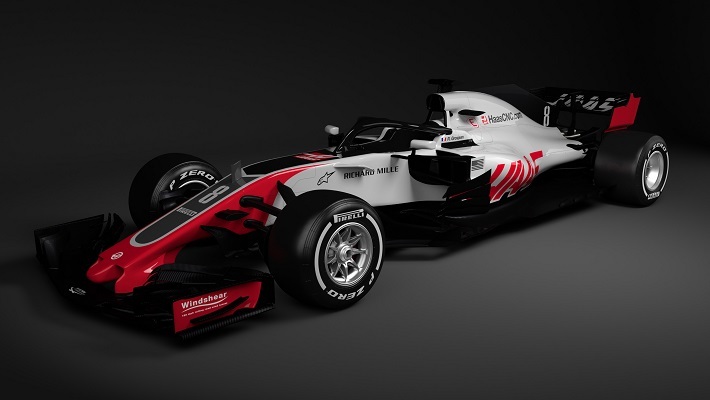 Will the Haas VF-18 improve the American team's standing in Formula 1?